Carsington Grey composite Door set. One-Stop solution, ready to install. 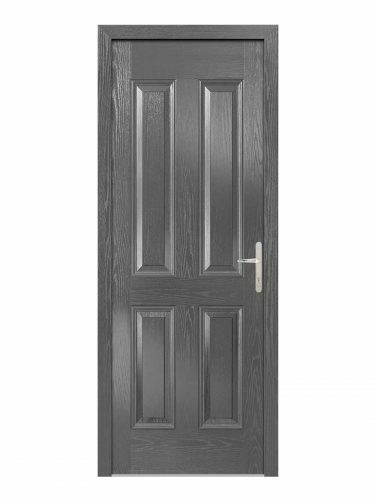 Carsington Grey Composite Door set. One-stop External door set. This grey, GRP composite design is a simple, sophisticated design featuring four Victorian style panels. Perfect low maintenance solution to enhance the exterior of your home. Solid panelled door. Victorian styling.